Choosing the right scent for a room is very important. If you don't know what scent to go with, a tip is to choose a scent that relates to the room it is going in. A coffee scent for the kitchen. 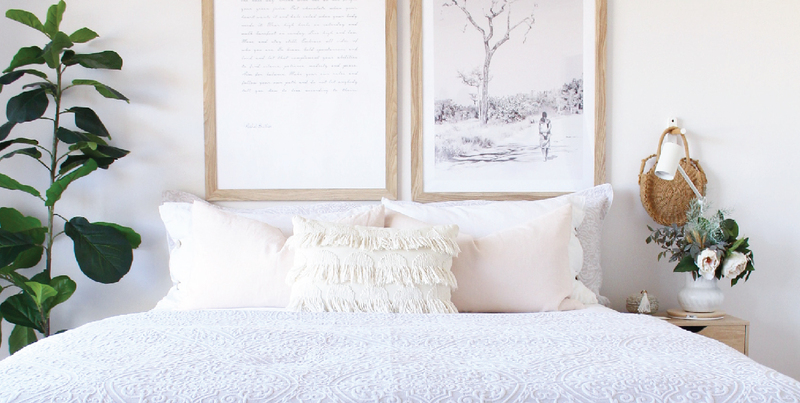 Fresh linen or cotton for the laundry. And in the bedroom, something soothing like a blend of lavender, geranium and chamomile. It is also important to choose how your scent is delivered. Candles are usually a favourite but unfortunately for someone like me with small children, it’s not always the most practical or safe option. My go-to for scents in the home these days is an electric diffuser. Switch it on for an hour or two and you’ll have your home smelling divine. We have a large one in our living area which is used most days. As well as smaller ones in the bedrooms which I use with lavender based scents to help us sleep. And occasionally with eucalyptus, if anyone is feeling a bit under the weather. A few drops of essential oils is enough to fill the air with your favourite scent which both smells great and is beneficial health wise as well. Currently, in my own home, I use a diffuser and essential oils from Tri Nature. An Australian owned and operated company which has been leading the way in responsible home alternatives since 1989. Their products harness the power of plant based ingredients, pure essential oils and herbal extracts with unique, sophisticated formulas. With over 25 years of environmental manufacturing expertise, as well as winning countless awards time and again for product excellence and innovation, they continue to demonstrate that they are the very best in all aspects of performance, safety and sustainability. 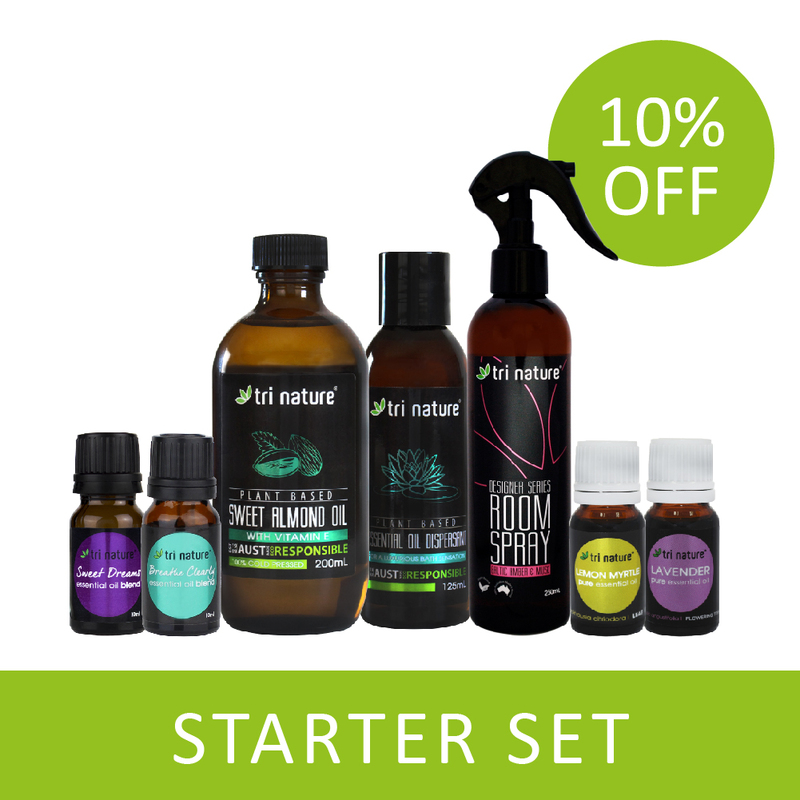 The Tri Nature range includes everything from cleaning products, personal care and pet products, through to aroma products including 100% essential oils, oil blends, massage oils and room spray. 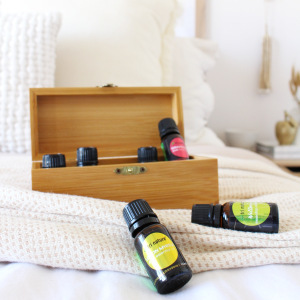 I personally love the Tri Nature pure essential oils and blends and have the Ultrasonic Aroma Diffuser on my bedside table. 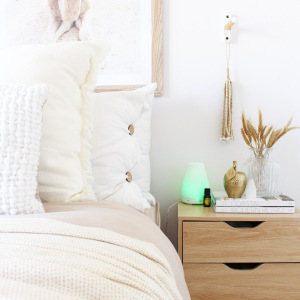 I like to pop a few drops of the Sweet Dreams blend into the diffuser and turn on half an hour before going to bed. The scent fills the room and I find that it helps me to relax and fall asleep. Occasionally during the days I like to use the Wellbeing blend to help me relax or to help me get motivated when doing some product styling around the house. Some days, just because I feel like having some soothing scents to help me through the day, I’ll pop in something like the Lemon Myrtle or Geranium into the diffuser. 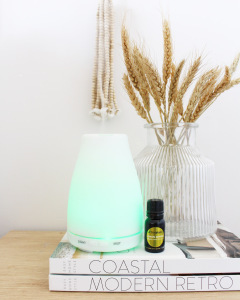 Diffusers create a gentle scent which wafts throughout a room and because the oils are natural, it’s a family friendly, safe way to add a gorgeous smell to an interior. 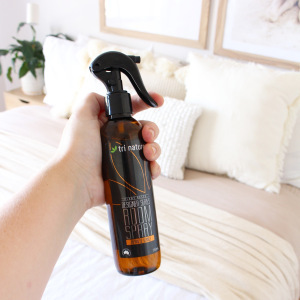 Another scented item I like to use around the house is a scented room spray. Don’t let the name make you think that they are just for spraying around in the air to give off a short-lived scent. They are also perfect for spraying over bed linen, cushions, couches etc. The smell is absorbed into the fabric, giving off a long lasting smell. Great for masking odours or to simply keep a room smelling fresh. Currently, I am using the Tri Nature Japanese Quince room spray. It is a beautiful, clean smelling scent which is perfect for using when decorating, when you are expecting company or after a good house clean. I personally like to mist mine over the cushions around my house to leave a fresh scent after I’ve cleaned the house. 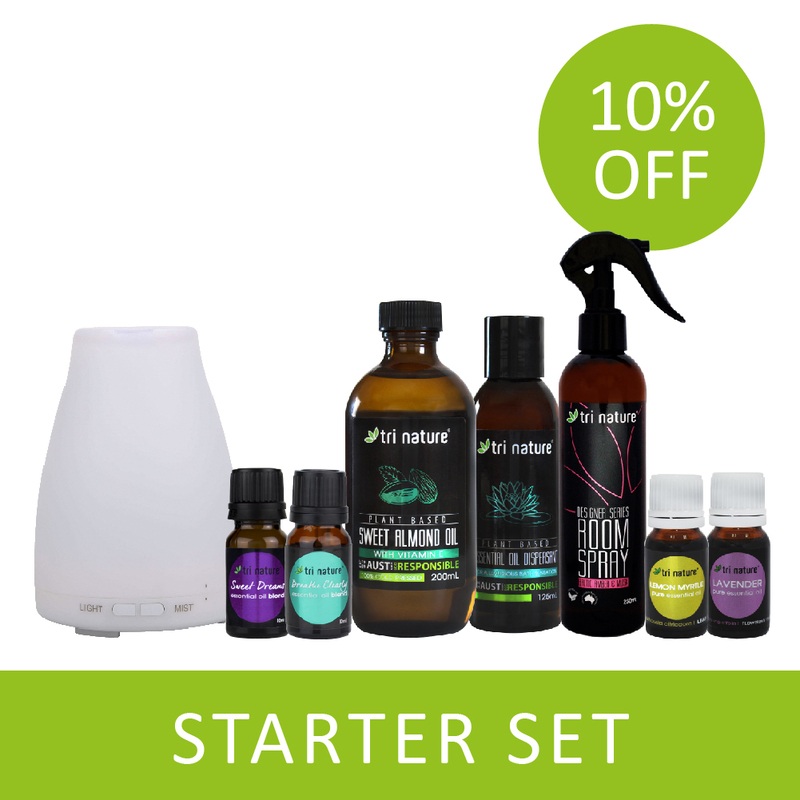 Tri Nature have put together these wonderful Starter Sets to get you well equipped for decorating your home with scent. They are 10% off for a limited time only so grab yours today and reap the benefits!